Windows 10 laptops, it seems, have been getting more and more expensive of late but haven’t been progressing much in terms of what they’re capable of. Battery life has stagnated, performance has grown a touch but, after the explosion of 2-in-1 devices, it feels as if Windows hardware has plateaued. That’s set to change in the near future, however, with the introduction of ARM-based Qualcomm Snapdragon-driven laptops like the new Asus NovaGo. 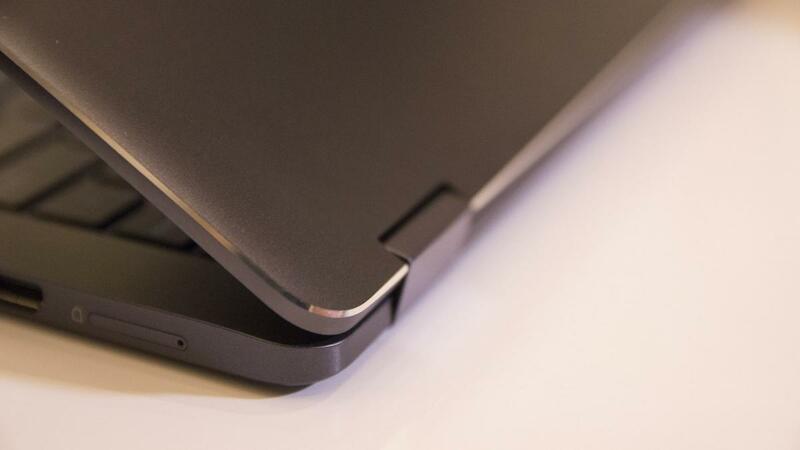 Powered by a Qualcomm Snapdragon 835 chip and running Windows 10, the NovaGo is one of the first two devices in a wave of a new breed of ARM-driven “Always On PC” laptops that promise superior battery life to Intel-based machines and always-on gigabit 4G connectivity. During my hands-on session with the laptop, it ran just as quickly and felt just as responsive as any regular Intel-based laptop, but the NovaGo’s key feature – enabled by its smartphone underpinnings – is long battery life. Just like the HP Envy x2, which launched alongside the NovaGo at the Qualcomm Snapdragon Tech Summit 2017, the NovaGo has a stunning claimed battery life of 22-hours (local video playback). Given that, in the Expert Reviews video rundown benchmarks, we typically see equivalent Intel-based laptops lasting between five and 11 hours per charge, that’s a big advantage. And along with its always-on 4G connectivity (think of it as a giant smartphone with a built-in keyboard) that makes the NovaGo a tempting proposition. And yet, physically and in terms of the software it runs, this is a Windows 10 laptop through and through. Out of the box, the Asus NovaGo runs Windows 10 S, which just like the Microsoft Surface Laptop, can be upgraded to Windows 10 Pro (as long as you do it by 30 September 2018). And this OS and its core apps have been recompiled to run natively on the ARM-based Snapdragon 835 chip. Most third-party apps, however, including Microsoft’s own x86-based Office suite, will run on emulation but according to Microsoft that shouldn’t negatively impact the user experience. Indeed, certain popular applications, including Office, have been given a performance boost, through the use of what’s known as “compiled hybrid portable executables”. It’s also worth noting that 64-bit Windows applications won’t run at all on ARM-based Windows laptops for the time being, so you’ll have to install the 32-bit versions instead. It remains to be seen how even non-optimised 32-bit applications run, however; I’d love for Adobe Photoshop to run smoothly on a device with a 20-hour plus battery life, but I’m not holding my breath. 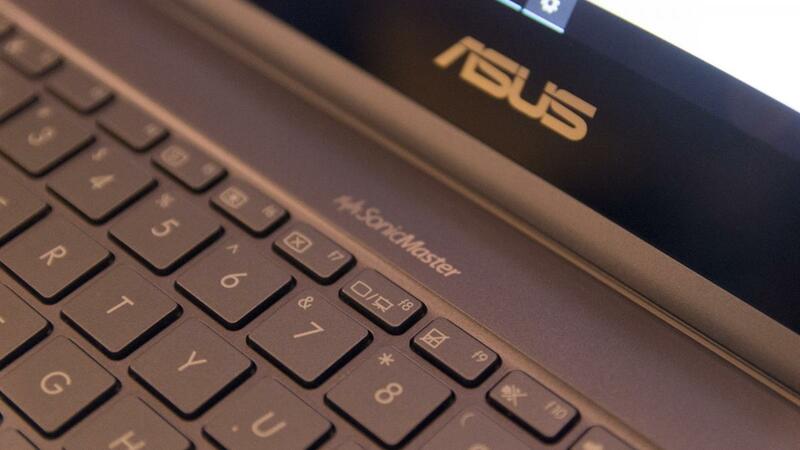 Physically, though, the Asus NovaGo is completely convincing. 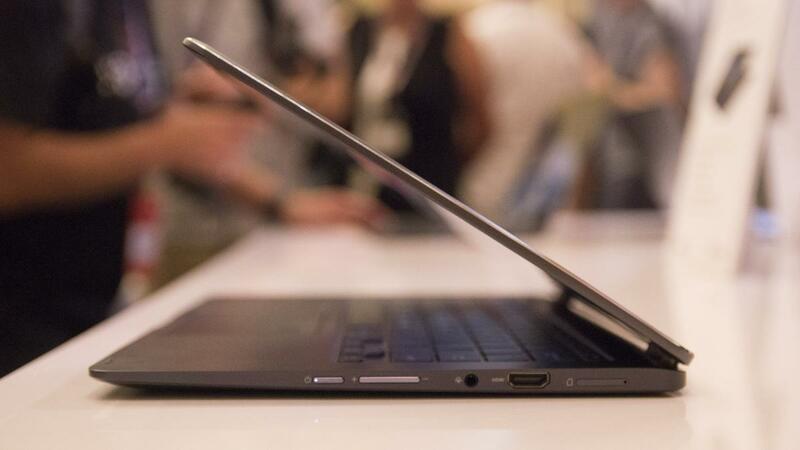 It’s well made, its 360-degree hinge, touchscreen, keyboard and touchpad all work exactly as you’d expect them to. There’s stylus and full support for Windows Ink and you even get a sensible selection of ports and sockets. There’s a full-size HDMI output on the right edge and a 3.5mm headphone jack next to the power button, volume rocker and dual-purpose SIM card and microSD expansion slot. On the left edge you’ll find a DC power input and two full-sized USB ports. There’s no fan here to whir up and disturb you in quiet environments, either. And it’s the price that seals the deal. The Asus NovaGo is available in two configurations: one with 4GB of RAM and 4GB of storage and one with 8GB of RAM and 256GB of storage. Both are competitively priced, with the cheaper of the two coming in at $599 (£447) and the other at $799 (£597). If those prices translate directly to pounds Sterling, the Asus NovaGo will be set to give its Intel-based rivals a serious run for their money. A Windows 10 laptop with 22-hour battery life and 30-day standby for little under £599. Now that would be a machine worth considering.